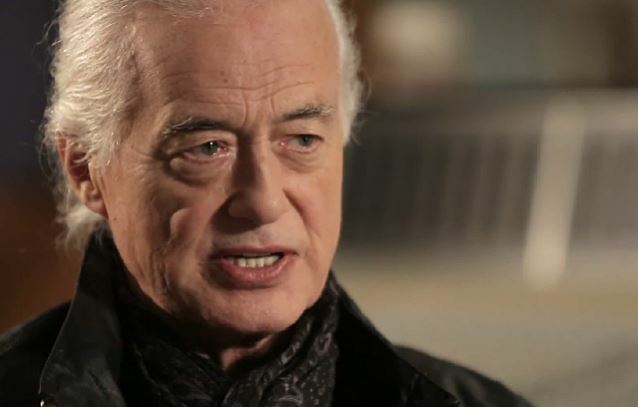 According to The Pulse Of Radio, Jimmy Page previewed the new LED ZEPPELIN "Physical Graffiti" reissue on Thursday (February 19) at London's famed Olympic Studios — home to legendary sessions by ZEPPELIN, THE BEATLES, THE ROLLING STONES, THE WHO, and countless other acts. As part of a question-and-answer session with Yahoo! Live, Page — who produced all the original ZEPPELIN albums, and personally overhauled the band's catalogue — shed light on the assorted tracks. Page was able to explain his pre-production creative process for working on tracks for what became LED ZEPPELIN's only double studio album. "I had the luxury of having a home studio, a multi-track studio at home," he said. "And we had a little bit of time off; so we weren't doing concerts, concerts, concerts — a bit of time off, so I was able to get in there and just really enjoy myself. Trying textures and overlays and various ideas. And one of the things that I had pre-getting to gather (with the band) at Headley (Grange) was the whole structure of 'Ten Years Years Gone' with all the… 'cause I wanted to get all the orchestrated guitar parts together, so that I didn't waste time when I was there. 'Cause I could hear 'em in my head and I just wanted to sort of lay 'em down so it would be much easier to sort of present it to the rest of the band as a piece 'cause it was gonna be quite long." Regarding the album's die-cut cover, Page explained the idea was an extension from the wheel that first appeared on the cover of "Led Zeppelin III". "The reality of that was that you'd never actually see everything that was on the wheel," Page said. "I'm sure the record company sort of cursed the whole idea… It was a bit sort of mischievous saying, 'Right, let's try the same idea, but we're going to make it a bit more user-friendly so you can actually see everything that's on the inside.'" Asked what sort of surprises we should expect on forthcoming LED ZEPPELIN reissues, Page said: "I sort of know what's coming, but I can't tell you, because that's the surprise." 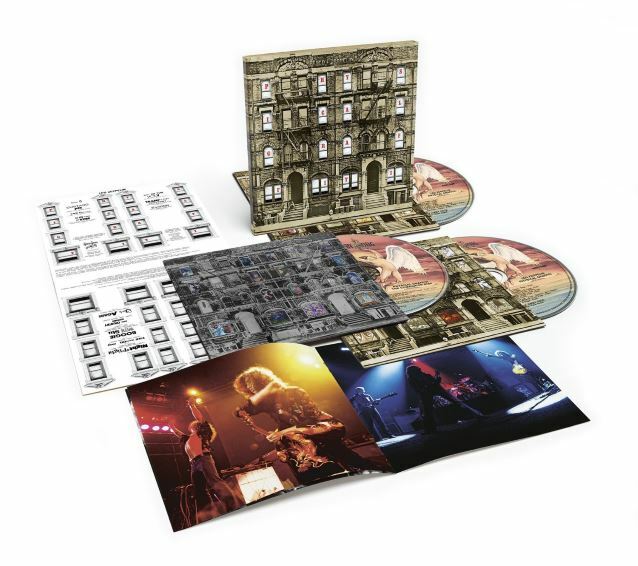 LED ZEPPELIN's expanded three-disc reissue of "Physical Graffiti" will be released on February 24. The new edition features seven previously unissued alternate tracks and outtakes — in addition to remastered versions of such ZEPPELIN classics as "Kashmir", "Trampled Under Foot", "Houses Of The Holy", "In My Time Of Dying", "Down By The Seaside", "Boogie With Stu" and "The Wonton Son", among others.